A new year means reflecting on the last year and figuring out ways to improve your life and health. Luckily, not all of these New Year’s resolutions need to be difficult and time-consuming. There’s one easy and simple change that can dramatically improve your health. The TaoTronics 120 Ml Essential Oil Diffuser will help you breath better and have more energy throughout the day. Utilizing the key principles of aromatherapy, the TaoTronics 120 Ml Essential Oil Diffuser will silently spray mist in your home or office space. This simple-to-use device requires no installation. Simply, fill the diffuser with your favorite essential oils and begin breathing better instantly. 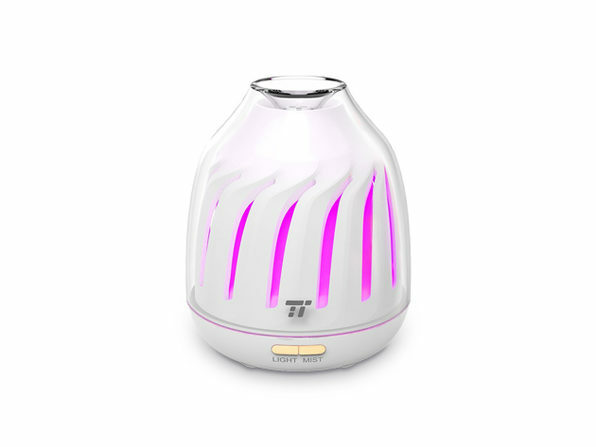 Each TaoTronics 120 Ml Essential Oil Diffuser can diffuse for 4 or 8 hours at a time. There are also 5 different LED color options for you to set the perfect mood. All these useful functions make this oil diffuser a great present for friends and family. Making changes to improve your health doesn’t need to be difficult. With the TaoTronics 120 Ml Essential Oil Diffuser, you can start breathing better today! Use coupon code, NEWYEAR2019, to get another 19% off the already discounted price. That brings your total down to $10.52.